“I and love and you,” one of the fastest-growing premium dog and cat food brands in grocery stores across the U.S., partnered with Chewy, a leading national online retailer of pet food and products, and celebrity dog mom Lo Bosworth to celebrate a puppy shower in honor of the recent adoption of several dogs from shelter partner Animal Haven. 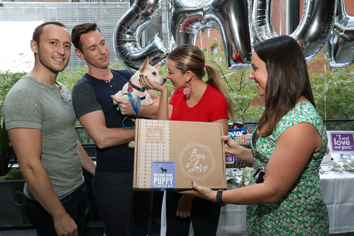 “I and love and you” celebrated the launch of their Puppy Starter Kit during National Dog Week and commemorated the start of new dog-families everywhere. 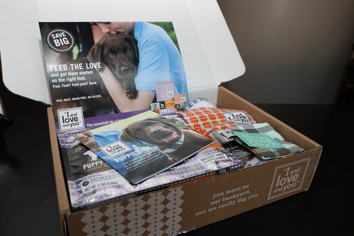 The “I and love and you” Puppy Food Starter Kit was created in order to support pet parents getting acquainted with their new puppies and to help make the transition easier. The newly launched Puppy Food Starter Kit includes the new “I and love and you” Naked Essentials Puppy Recipe kibble, new Super Smarty Hearties dog treats, Cluckin Good Stew wet food, pet product coupons (on brands like Coastal Collar, DogTV, Outward Hound, and Molly Mutt), and a guidebook for everything a new puppy owner needs to know. All “I and love and you” products are made with real meat and contain no grains, fillers, or anything artificial, and are approved by a holistic veterinarian for uncompromising quality. With the help of Chewy, “I and love and you” partnered with Manhattan-based Animal Haven Shelter to host an adoption drive. Just as with a baby shower, each ‘Pup of Honor’ adoptee was showered with gifts to get them settled in their new homes. Each basket contained a Casper dog bed, Vet’s Best health products, a dog crate, house training products, and a supply of ILY puppy products including a Puppy Food Starter Kit, along with additional puppy essentials from Frisco and Planet Dog.